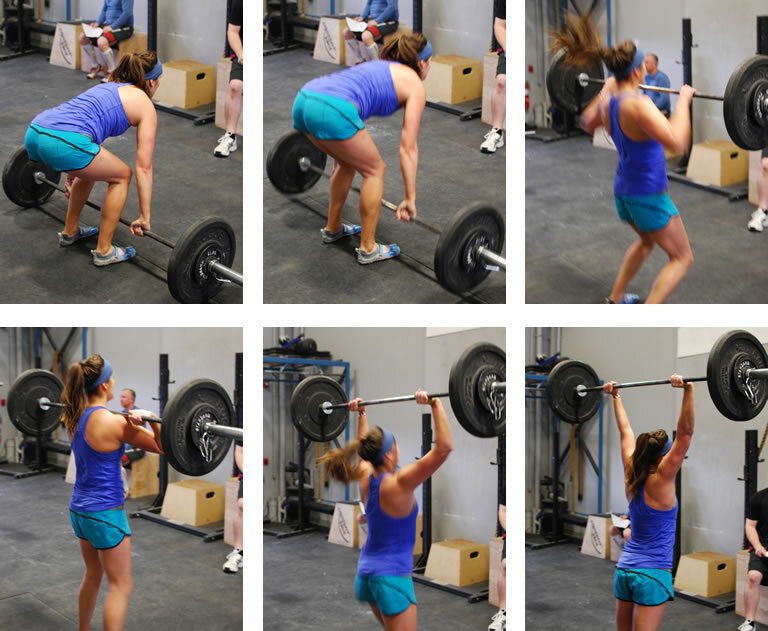 I’ve blogged quite a bit about the CrossFit Open. It wasn’t something I originally had any plans to participate in, but a few of the girls at the box I go to were all doing it and talked me into it. It’ll be fun to see how you rank, they said. I probably sound like a broken record, but I’m really glad they talked me into doing the Open. I don’t have a problem pushing myself in work outs, but I’m sure I pushed harder in the Open than I would in a normal workout. It definitely helps to have people cheering for you (or sometimes yelling). 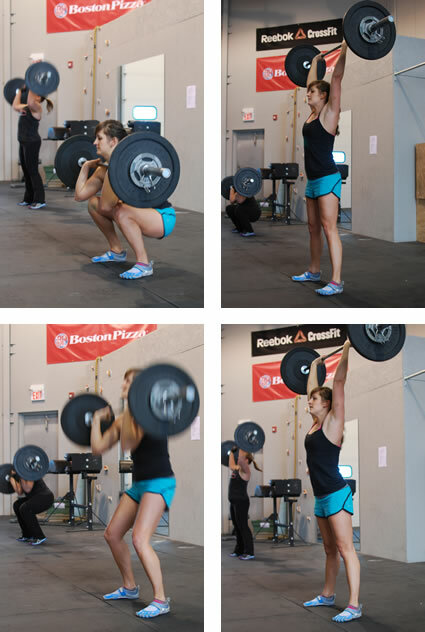 When this workout was announced, I felt ok about the wall balls. 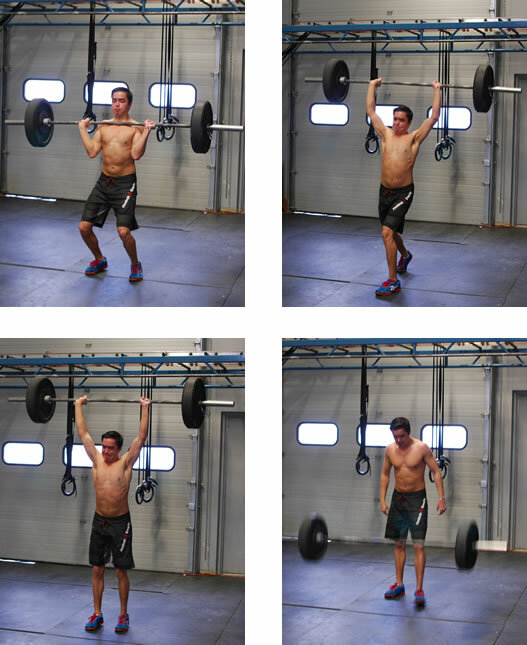 I’d done 150 wall balls before and it had been awful, but it hadn’t taken me 12 minutes. I didn’t factor in the fact that I’d done them with less than a 14 pound med ball. On my first attempt at this workout, my shoulders gave out well before my legs did. I only got 136 reps. My legs weren’t too sore, so I decided to re-do the workout on Sunday and scored 154. From now on, I think I’ll be doing wall balls with a 16 pound ball. …if you complete 9, move on to 12, and so on until 7 minutes is up. This workout was pretty fun for me. Most people were worried about Toes to Bar, but those have never been something I struggle with so I was more worried about the Clean and Jerks. I’d never Clean and Jerked more than 75 pounds before. I guess I’m getting stronger because 95 pounds didn’t feel nearly as bad as I thought it would (at least at first). I’d also convinced N to come take photos for us. He got lots of great shots of everyone at the gym. There were lots of people around to cheer and support. It was great! 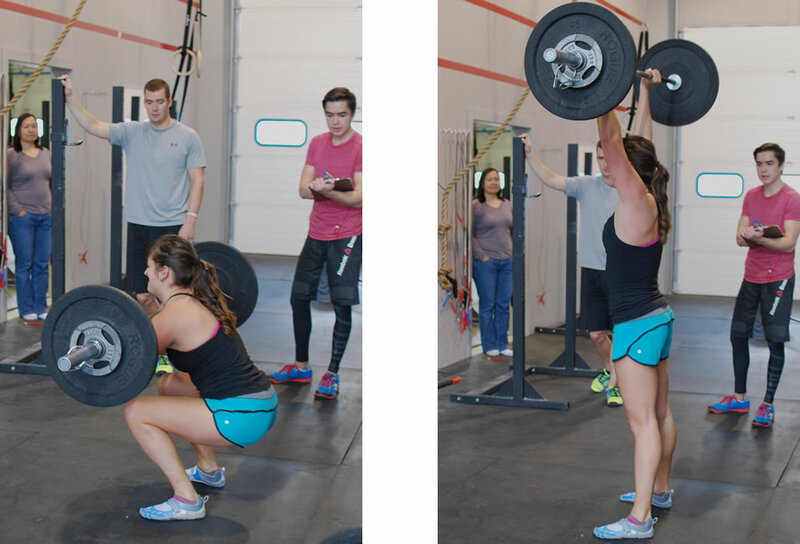 The coaches at CrossFit Airdrie organized a potluck to celebrate the end of 13.5. The workout got pushed a bit later and I ended up getting there a bit late, so I didn’t get photos of anyone else doing the WOD. I did bring my SLR that day though and one of the guys who’d already done it took some photos for me so I have some pretty entertaining one of myself. The faces I make while I’m lifting heavy things are pretty entertaining. This workout was crazy. It’s basically an infinite Fran. 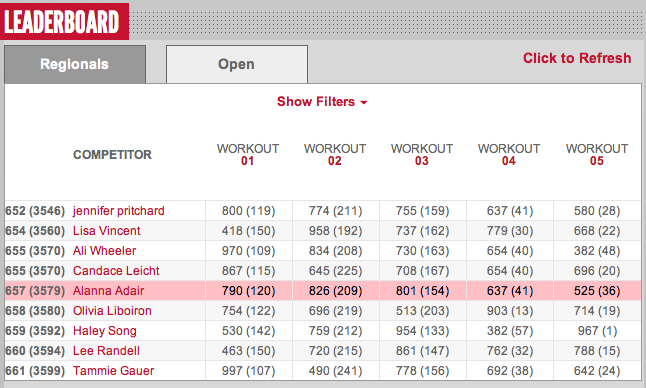 Fran is one of the CrossFit benchmark WODs and is notorious. The workouts named after girls are always pretty beastly, but Fran is in a league of her own. 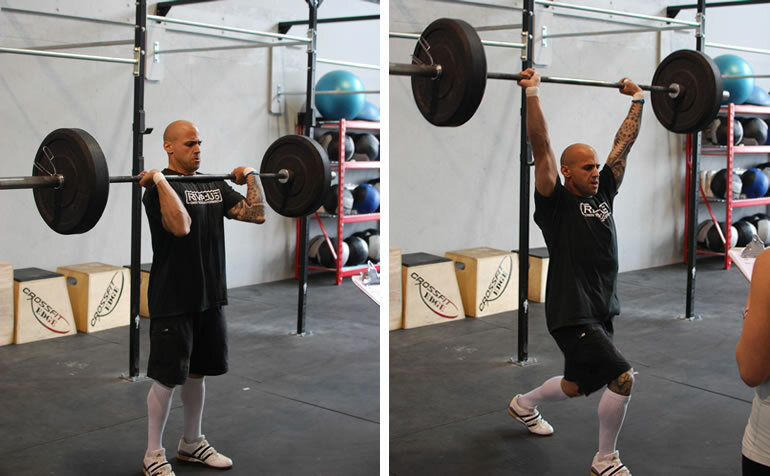 There’s something about the combination of Thrusters and Pull-ups that just makes you want to puke. So Dave Castro took the worst set of Fran and changed the Pull-ups to Chest to Bar Pull-ups and gave elites the possibility of extending the workout. For every 90 reps completed, the workout would be extended another 4 minutes. I don’t think anyone made it into the 16 minutes range, but getting through 8 minutes is beyond impressive. I got through 31 reps the first time I tried. I didn’t think I’d have as much trouble with Chest to Bar Pull-ups as I did. For someone who hasn’t mastered kipping, I’m pretty good at pull-ups. I really struggled with them though, as evidenced by my post last week. I watched tons of videos online for tips on Chest to Bar Pull-ups before re-doing it Sunday. It definitely helped, but I still hit a wall pretty quickly in the workout. My final score was 36 reps. Fran, you are one terrible lady! Now that the Open is over, I miss excitedly tuning in to the WOD announcements at 6 pm every Wednesday. 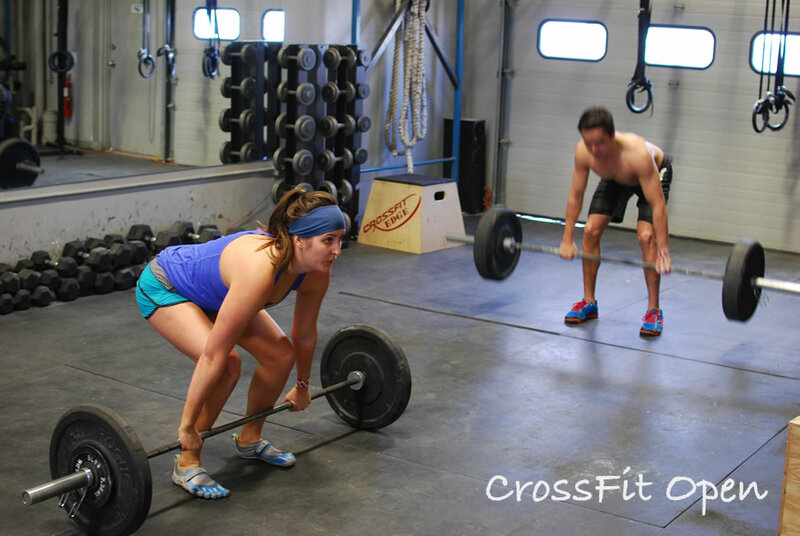 It was really fun to watch two elite athletes go up against each other a few minutes after learning what the WOD was. The results are all officially up on the website now. I am 657th in Western Canada and 18 426th in the World for Individual Women. It’s unbelievable how many people participated this year! I’m already looking forward to next year! 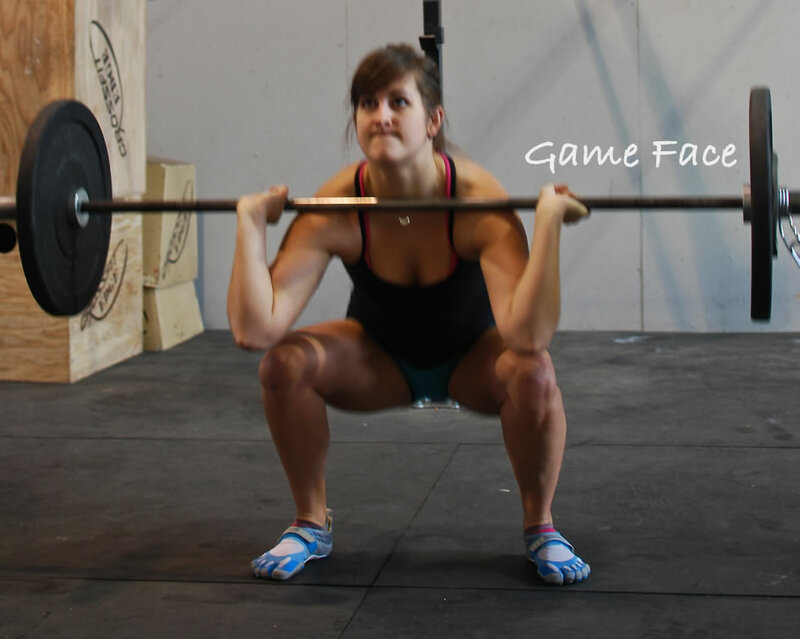 This post is ridiculously long now, but I wanted to get all my CrossFit Open talk done for this year since I know not everyone cares about the subject. Congratulations if you made it this far! I know I’m very long winded.